In a world where tons and tons of slanted opinions are tossed at us (read: Facebook, Twitter, CNN vs Fox, TV commercials, politics), the truth is becoming a rare and precious commodity. Every day you are presented with tons of information; how much of it is factual and how much of it is questionable? How do you know what is authentic and true versus what is twisted and spun? I still remember being encouraged several years ago because Congress declared that they were giving us a tax cut. Naturally I assumed that my taxes would therefore be lower. When my tax bill came, I found I was paying MORE in taxes! I actually called a congressman’s office to ask what happened to the tax cut. I wanted the TRUTH! Their answer was classic congressional double-talk: they told me that even though my total tax bill was higher, I was paying “less” in taxes because they had reduced the amount my taxes were scheduled to go up! The art of prevarication is more sophisticated and subtle today than it has ever been in history. Over a century and a half ago, Mark Twain said “A lie will make it halfway around the world before the truth has had a chance to put its boots on.” And that was before we even had the internet. What is spin and what is factual? As Bill Clinton once said, “That depends on what your definition of the word “is” is… In our politics and in our culture, deception has been raised to an art form, and it is far more common and pervasive today than it was when Mr. Twain made his observation. How do we know what is true and what is not? I have heard it said that when the Treasury Department trains agents how to detect counterfeit bills, they don’t waste time studying every possible variation. They invest time in knowing the original backwards and forwards. They are so attuned to the true original that they develop sort of an inner “truth meter” that detects flaws and irregularities in the counterfeit script. This sounds a little simplistic, to be honest, but the principle makes sense. By being intimately familiar with the real thing, they can then detect the phony variations of it. Most people remember Jesus said “the truth shall make you free.” What they forget is that he prefaced that remark not by saying, “read lots of men’s opinions”, or “watch the nightly news”, and certainly not, “get on Social Media”… He said to abide in his word. Give that a try. Know who Jesus really is. Bask in his words. Be intimately familiar with the truth. 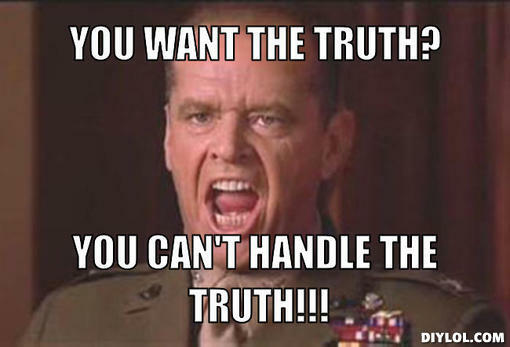 Then when you hear a variation of it your Truth Meter will go off like crazy! are not the truth, but something less. how can you tell which ones are true? Of everything that you can see, know this: The truth will set you free. This entry was posted in Daily Devotions, Poetry, Thought for the day and tagged Bible, Daily Wisdom, Devotional, inspiration, Jesus, John 8:31-32, observation, spiritual, truth by admin. Bookmark the permalink.